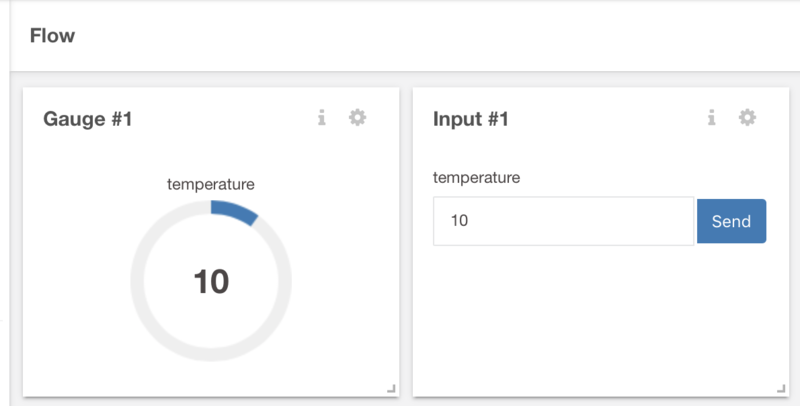 In this tutorial the user will learn how to create a flow that sends an email notification when the temperature of your sensors reach a certain value. 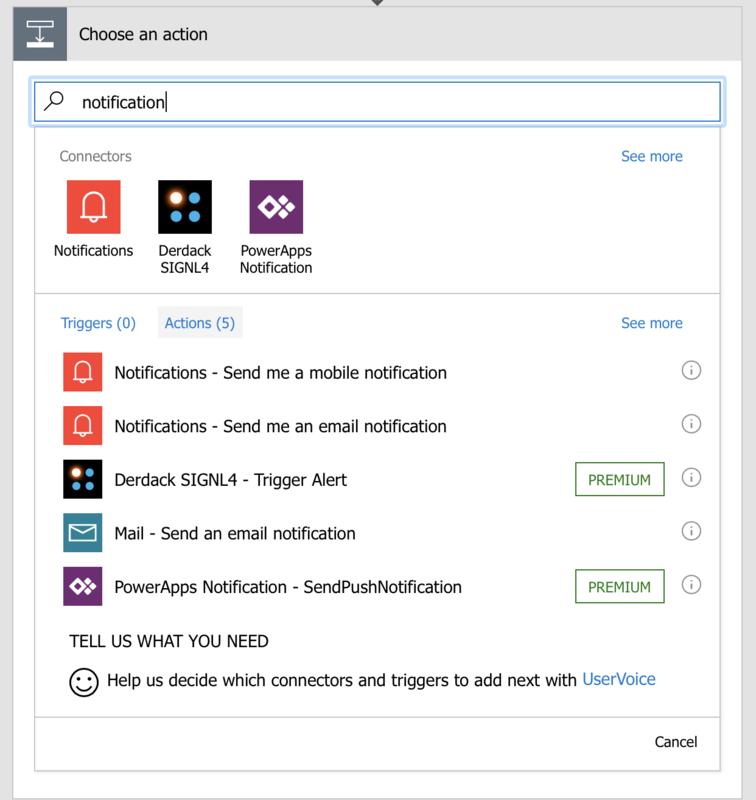 The notification is just a simple action taken after some criteria is matched, but you can browse through Microsoft Flow`s enumerous connectors. 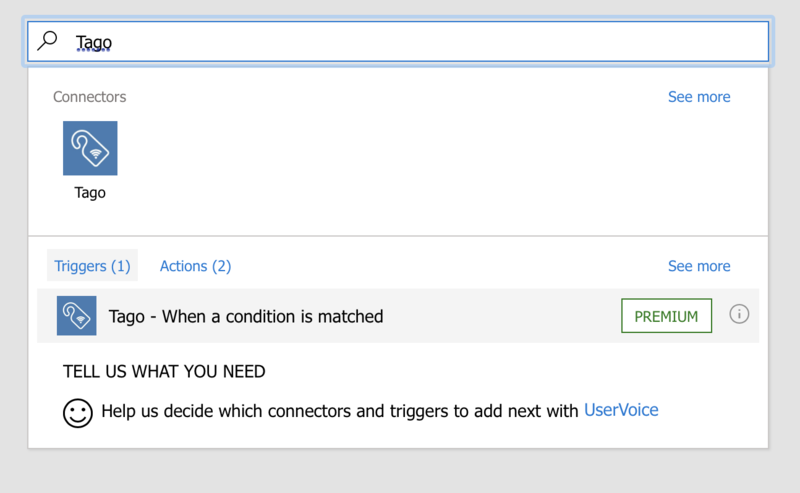 Before you continue this tutorial you need to create a Microsoft Flow Tago Connector. You can do this by following this tutorial. At Tago, create a device called thermostat. Add a gauge to show the temperature, select the bucket thermostat, the device thermostat and the variable temperature. In the input, type some numeric value and hit send, for this example, let`s send 10, and you will see the gauge showing the temperature you`ve just sent. This step is important, because you didn`t have the variable temperature in your bucket yet, now, by sending the temperature, the variable was created. 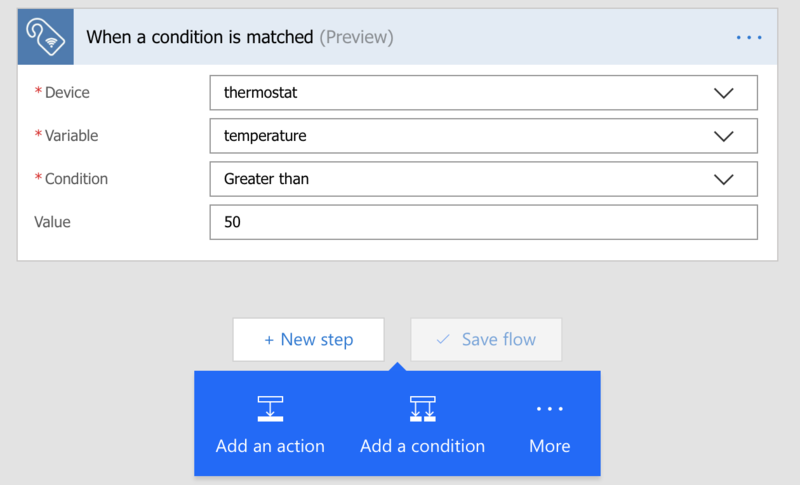 Microsoft Flow can now discover that variable. Now go to Microsoft Flow, on the top bar, click My Flows, then click Create From Blank. 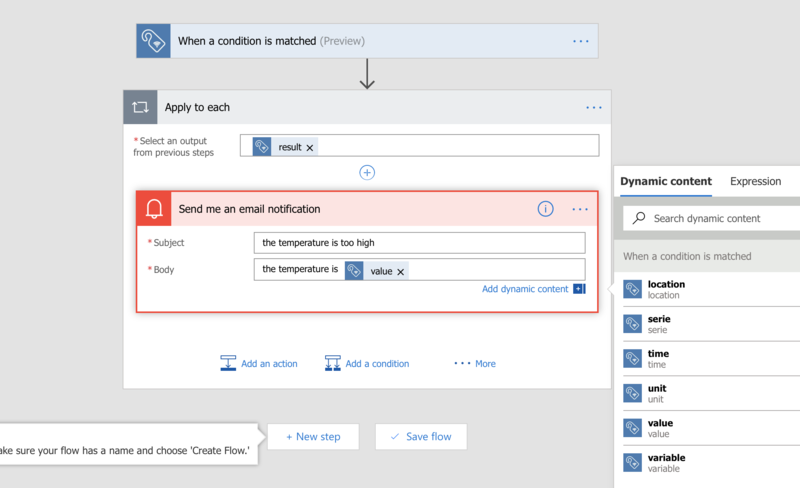 Microsoft Flow uses the Tago connection to get information. This information is retrieved from your account. Select the device thermostat, the variable temperature, on condition, set Greater than, and on value, type 50. Click Next setp, and select Add an action. You can use dynamic content from Tago, in the example above, in the body, we typed the temperature is and selected value from the dynamic content. 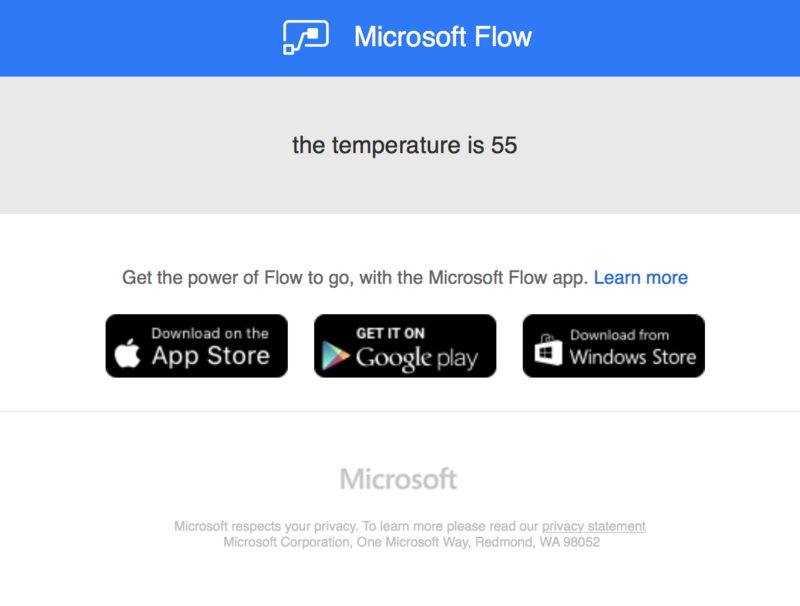 Now go to your dashboard and send some temperature above 50 and you will receive an email from microsoft flow. In this example we sent the value 55, and Microsoft sent the email below.